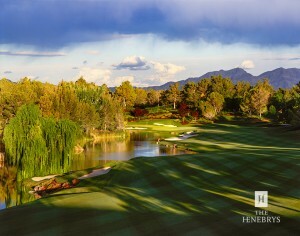 Books — The Henebrys - Premier Golf Course Photographers, John Henebry and Jeannine Henebry. This gorgeous coffee table book features photographs and detailed reviews of more than 140 of America’s finest golf courses, making it the most comprehensive directory ever published on the nation’s outstanding layouts. John & Jeannine Henebry were the principle photographers on the book project in coordination with the author Darius Oliver and published by Harry Abrams.